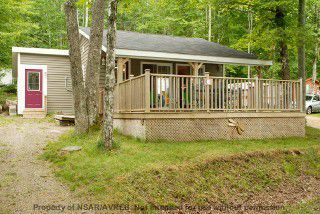 Just in time to enjoy this very well kept, cozy cottage with a view of Lake George & only a few minutes walk to the public beach at Lake George Provincial Park. 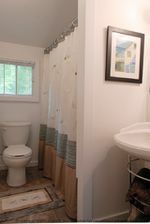 Upscale cozy cottage on Lake George - COMPLETELY furnished - all you need to do is load the family in the vehicle! 481 SQ.FT - this turn-key 1 bedroom cottage sleeps 4 and is only a few minutes walk to the public beach. On your livable deck, watch the summer activities on the lake; such as swimming, fishing and water-skiing. Cottage boasts hardwood floors and 2 patio doors. Recent upgrades include new lower kitchen cabinets and the outside was painted in 2012.